ARRMA is a brand that defines high-speed super-tough RC action. With a wide range of exciting vehicles that provide the perfect opportunity for you to enjoy dirt-blasting RC driving, learn new skills, and inspire others to share your passion for the pulse racing world of ARRMA, your journey starts here. 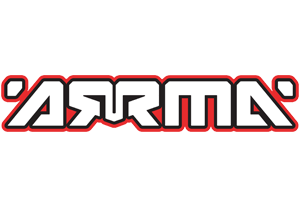 Whether you are new to the hobby of Radio Control, or a seasoned RC fan, ARRMA can offer you exactly what you need to take on new challenges, and set yourself the goal of becoming an ARRMA RC king.